I’m so thrilled to be offering you this soul-liberating Silent Night set – SG version. This set will call you to sit in the silence of your heart’s truth, as you listen to the wisdom of your Higher Self. It will encourage you to let go of fears that cloud your ability to see your greatness and the greatness of others, giving way to the whispers of your inner power to be spoken. In the busyness of this season, we can become overly distracted and disconnected from our own inner voice. 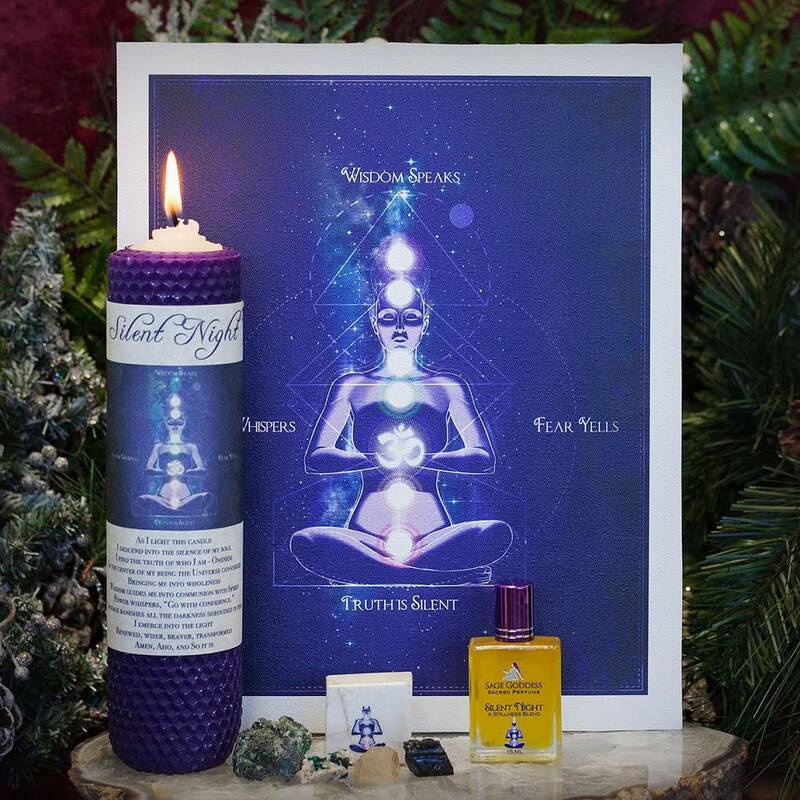 My Silent Night set is the perfect ally to aid you with grounding into the Earth, elevating your vibrations, and equalizing your etheric, emotional, and physical bodies. First you will receive one (1) 8” beautiful Silent Night candle to light the way into the silence of your own metaphorical night. Handmade and hand-rolled with white and purple soy wax right here at SG, this candle is anointed with my Silent Night perfume and rolled with sodalite and quartz chip stones for banishing nightmares and fears, while deepening your intuition and enhancing your own natural wisdom, permeating your light body and radiating the energies of serene knowing, while amplifying the power of your intentions. My Silent Night candles come with a blessing you can recite upon lighting it to illuminate the way into the profundities of your own wisdom. Next in this set is one (1) 15mL bottle of my brand new Silent Night perfume. Silent Night embodies notes of jasmine to enhance prophetic visions, fir for a celebratory feeling and to refresh the heart and soul, and blue lotus to stimulate your innate wisdom and intelligence. Anoint yourself with this mystical blend to accompany you into the sacred mysteries that can only be revealed in the silence of your heart. You will then receive one (1) gorgeous 8×10” canvas print with captivating SG custom artwork. 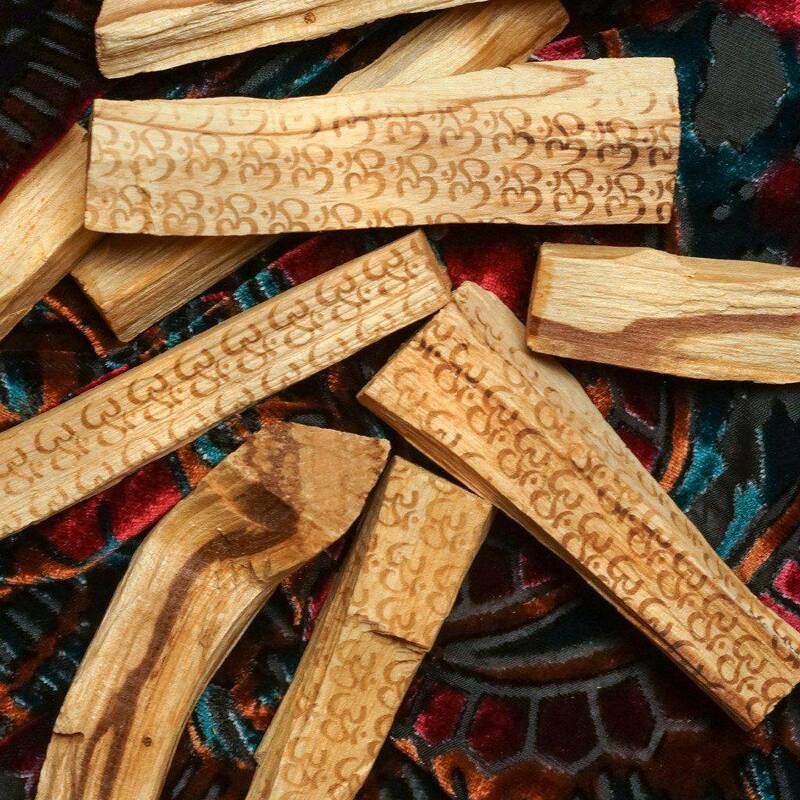 You can use it to adorn your meditation altar or any sacred space, including using it for gridding. Meditate upon the artwork and words to open the way to access your inner powers, courage, wisdom, and truth. Scolecite Ascension Cube printed with original SG artwork. Scolecite is a very rare and magical gemstone that is universally known as the Lightworkers Stone. It is also one of the Sacred Mystery stones, known as the Synergy 12. The energy of scolecite is deep inner peace. Combined with the powerful sacred geometry of the cube, this union is pure magic. Natural dioptase in this set represents “Wisdom Speaks”. This gem brings wisdom, discernment, clear sight and vision. It helps you cut through challenges and recognize what you must do, what to say, how to behave and how to react. It powerfully heals past trauma in relationships and helps you move forward with confidence and a renewed sense of purpose. Natural chrysocolla represents “Truth is Silent”. Chrysocolla, more than any other stone, allows us to express ourselves freely and channel universal wisdom about our purpose in life. Chrysocolla strongly represents the Sacred Feminine, activates the Throat Chakra for clear communication, and is bolstered by ancient intelligence and tempered by the strength of the enduring Goddess. 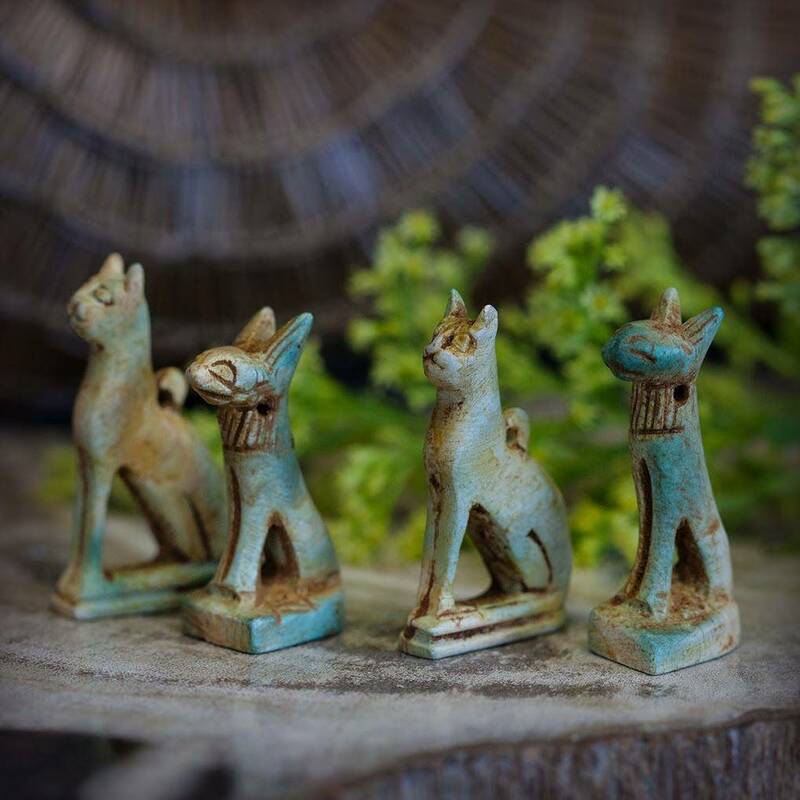 Working with chrysocolla will help summon the courage necessary to express yourself freely. Natural black tourmaline represents “Fear Yells”. Black tourmaline is the protection stone par excellence, that creates an energy shield around you, deflecting negative energy and sealing holes in your auric space. Natural golden labradorite represents “Power Whispers”. This gem activates the Solar Plexus Chakra to help you move more confidently in the world. It offers empowerment and intuition, courage to do what you need to do, and the wisdom to understand what you’ve been called to. Its masculine energy is fiery and strong, and it brings confidence. 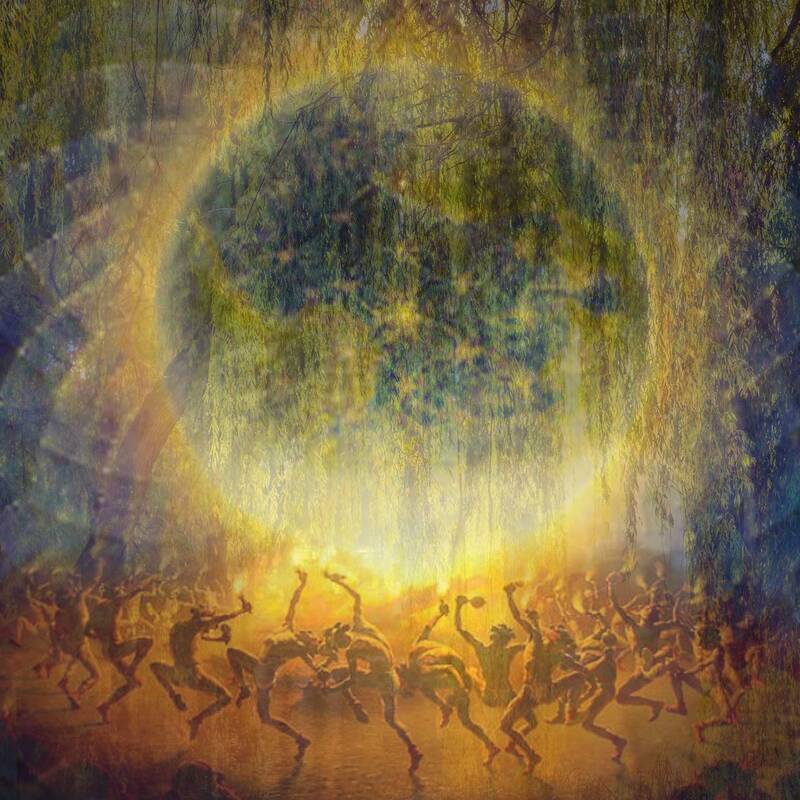 May the powerful energies of this Silent Night set guide you on your voyage toward awakening and self-realization. Note: Silent Night perfume is made with natural essential and carrier oils, and may contain fragrance oils. Cap color, chip stone, and color may vary slightly. For external use only. Please remove label before burning candle, always use a heat proof dish on a stable surface, and never leave a burning candle unattended. This listing is for one (1) Silent Night set described above. Yours will arrive lovingly parceled, along with a single leaf of white sage, and a parchment describing the properties of the stones.